Carlsbad, Calif. – Nov 18, 2010 - Razer, the world's leading high-end precision gaming and lifestyle peripherals brand, today announced the Razer Nostromo gaming keypad, co-developed with Belkin and designed to give gamers the upper hand with cutting-edge ergonomics, tournament-grade controls, extreme customizability, and maximum comfort. "A few years ago we had the privilege of working with Belkin to co-develop the highly successful Belkin n52te Speedpad." said Robert "RazerGuy" Krakoff, President, Razer. 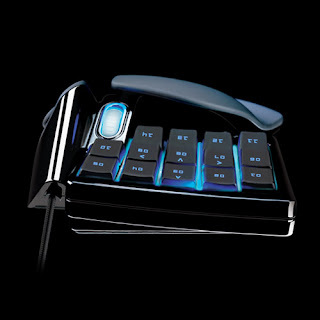 "The Razer Nostromo is an update to this illustrious gaming keypad to meet today's competitive gaming demands. Building on the Speedpad's proven ergonomic design, the Razer Nostromo incorporates the latest gaming technologies that Razer has developed over the past few years, including a new chipset and software drivers that allow all levels of gamers to program sophisticated command strings to help decimate their opponents." The Razer Nostromo features a 16-button keypad layout and form factor that is optimally designed for greater intuitive access to critical gaming commands across all game genres. For marathon gaming sessions, a soft-touch rubberized wrist pad cradles the palm and significantly reduces hand fatigue and wrist strain. The Razer Nostromo gives players amazing key activation accuracy with its 16 fully-programmable Hyperesponse™ gaming buttons and eight-way directional thumb pad, engineered for rapid key actuation and crisp response. The programmable directional thumb pad can be used either for movement or as modifier keys to access auxiliary commands. 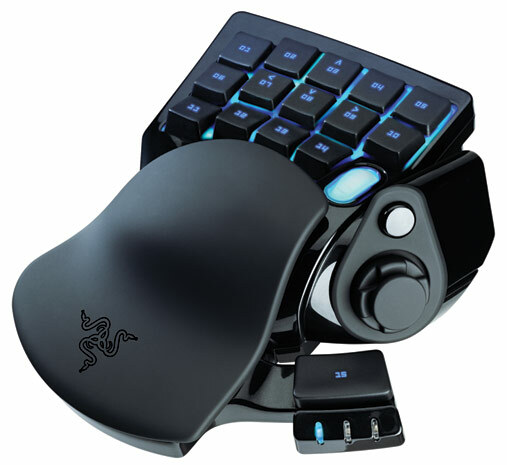 In addition, the Razer Nostromo boasts several enhancements over its predecessor including the ability to switch instantly between eight keymaps (up from three), and the flexibility of storing up to twenty gaming profiles from the previous limit of ten. Gamers can now also take advantage of the new onboard chipset and software driver that puts aside all previous programming limitations, as the new Razer Nostromo enables gamers to effortlessly program sophisticated macros of unlimited length. 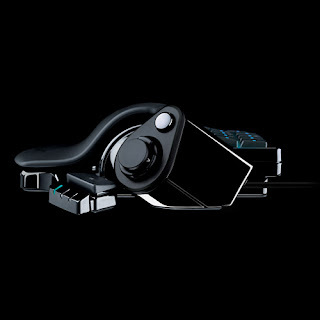 This all-new configurator software for the Razer Nostromo comes with an improved user-friendly interface that belies its advanced macro programming capabilities, allowing gamers to conveniently customize all the buttons with any game command to open up a massive repertoire of commands and combinations right under their fingertips. The Razer Nostromo expert gaming keypad is designed to give gamers the upper hand with cutting edge ergonomics for intuitive game control and comfort. With an arsenal of tournament-grade controls including 16 fully programmable Hyperesponse keys, eight keymaps that can be switched between on-the-fly, twenty unique gaming profiles, and an eight-way directional thumb pad all integrated into one dedicated gaming keyboard, gamers will be prepared to take on any challenger. The Razer Nostromo's all-new configurator software is as easy to use as it is deadly, allowing gamers to conveniently customize all the buttons with any game command or key binding to open up a massive repertoire of killer combinations right under their fingertips. Ergonomic is excellent. It's my personal expirience.